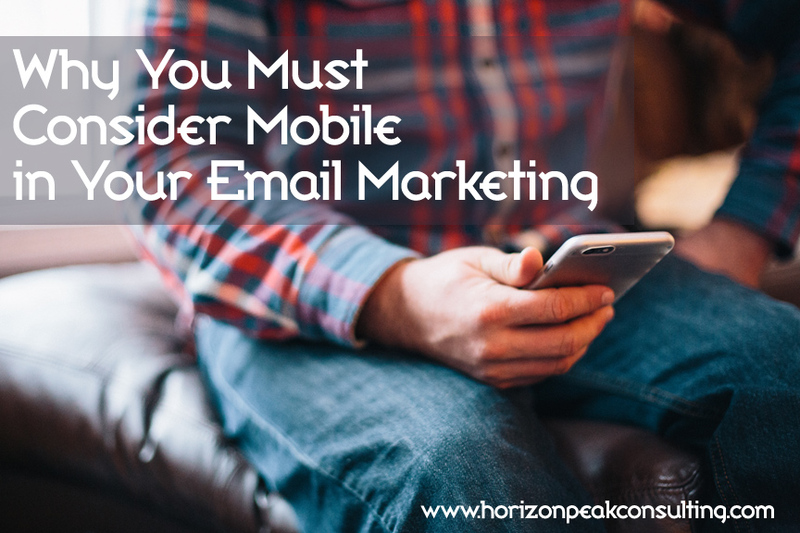 So when you’re sending out those meticulously-designed, graphic-heavy emails to your customers, are you giving any thought to how they might be viewed on a mobile device? Most mailing-list programs give you an option to send a text-only version of your marketing emails – but most people are still going to receive the full version on their mobile devices. So you have to take mobile into consideration from the subject line onward. Here are five tips that will get you a better open rate and response rate when readers open your marketing emails on their smartphones and tablets. Keep your subject line under 50 characters for the biggest impact. Not only are these shorter subjects easier to read on a mobile device, but research shows that they have a higher open rate in general. The smaller the image size, the lower the load time and the less bandwidth your email takes up. If your CTA is a contextual link (hyperlinked text within your email copy), a reader might have a hard time clicking that on a smartphone screen. Instead, use a clear, distinct button with compelling copy. Side note: Don’t use an image for your CTA. It’s not always obvious they’re clickable, which makes them a very poor prompt to get your reader to take action. Fingers are not styluses. They are not designed well for clicking on narrow links in an email. How many times have you accidentally clicked the wrong link on your smartphone or tablet, then had to wait for the page to load so you could go back and try again? Don’t do that to your readers.